Patty Kolesnichenko has worked for over 20 years teaching Outdoor Education to individuals of all ages. Her background includes a Degree in Education with a specialization in Physical Education and Science from York University in Toronto. 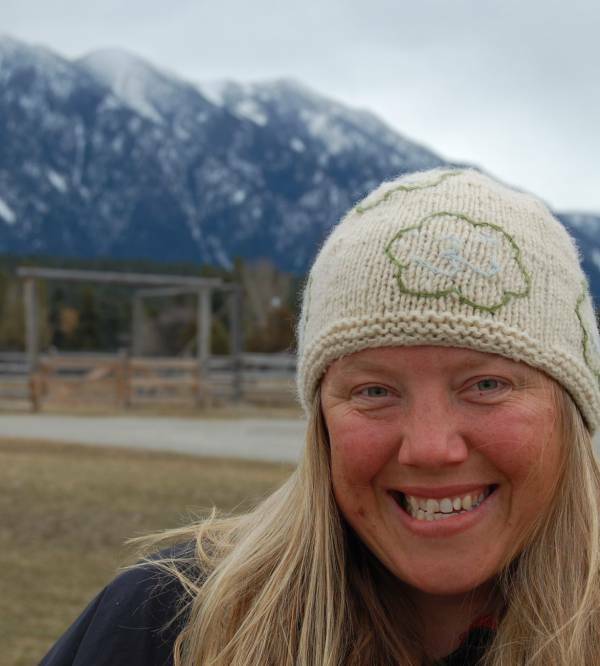 She has taught at the Boyne River Natural Science School, the Nor West Outdoor Centre in Ontario and started St Patrick High school’s Outdoor Program in Yellowknife. Patty has also run her own business “Wolfsong Adventures” in the Northwest Territories, specializing in Outdoor adventure tourism, consulting and education. Patty enjoys spending time with her family hiking, skiing, canoeing and exploring many of the wild places in BC and beyond. Patty is in her element when teaching outdoor education and enjoys helping young people find meaningful connections to their natural environment. Patty teaches our Winter Wonder, Beyond Recycling, Classroom with Outdoors, and Know Your Watershed programs.